Tony Scheirlinck’s name is synonymous with success in real estate on the North Shore since starting his career before the share market crash in 1987. He has produced outstanding results and is a multi-award winning salesperson that possesses a passion and enthusiasm for real estate. He has had experience as a Salesperson, Sales Manager, Branch Manager, Agent Licensee and Auctioneer. Success in Real estate comes through a high level of service and good communication. Being able to listen and understand clients’ needs and offering a solution for their particular situation is what Tony inspires his team to emulate. Tony is proud to manage the Sunnynook office, proud to be part of the award winning Cooper and Co team, and proud of his salespeople who will always do their best in a friendly and positive manner. As the Sales Associate to David Ding, Albee has a very positive attitude and is self-motivated. She is friendly, courteous, honest and efficient. She takes great pride and pleasure in helping her clients either to secure a dream home or achieve the highest possible price. 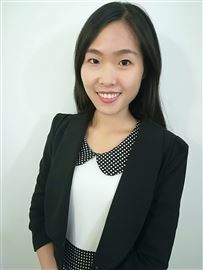 Albee's ability to speak fluent English and Chinese, which allowing her to communicate between multiple cultures to ultimately provide them with the best possible service. Over her real estate career, Albee has built up a good network among her colleagues as well as friends working in different industries, which exposes her to a wealth of information and contacts. Client assurance is the focus of Albee’s work ethic, providing an enthusiastic, tenacious and committed attitude to every job that she takes on. With a love for the North Shore area, and an extensive network system in place, Albee is committed to your needs and providing customer service that is second to none! If you are looking at buying or selling in the area and want to take hold of the opportunities available, then get in touch Albee and David, see how they can help. As a proud member of the Harcourts Cooper and Co Sunnynook team, Anna truly believes in the power of marketing. She is 100 percent committed to understanding people’s needs and helps them achieve a premium price in their real estate transition. Anna has years of experience in customer service; She is patient, professional and has excellent communication skills. Anna and her young family live on the North Shore. She enjoys all the North Shore has to offer and is a keen supporter of Westlake Girls High School where she attended in her younger years. Anna’s local expertise and knowledge will be of great benefit to you when you choose to market your biggest asset with her. Having been a long time Shore resident Carrie has a rare insight into the North Shore property market and what it means to truly enjoy the lifestyle that living north of the bridge provides. Carrie’s references speak of her warm personality, her marketing and negotiation skills and the incredible commitment she displays to ensuring that no stone is left unturned when it comes to achieving the best price possible regardless of market conditions. No wonder most of her listings are either repeat clients or referrals from past ones many of whom Carrie now considers good friends. If you would like any real estate information such as recent local sales, current market stats or even if you are considering making a real estate decision and would like some friendly advice and a free, no obligation appraisal then please do not hesitate to call Carrie at any time... she would be happy to help. After a very successful career in teaching, Crystal decided to make a change and pursue her dream in real estate. Her vast wealth of skills in communication, negotiation and planning encourages and enables her to realize such a dream. 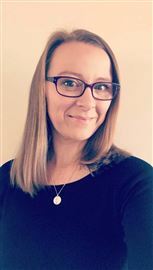 Crystal’s first and foremost goal is to look after her clients and to understand their needs and expectations, then to try to achieve even more than what they expect. She is a brilliant negotiator, hardworking, honest and creative. You, the client, makes the call – Crystal brings the result. Request a Property Appraisal “No two properties are the same, it is my job to use my expertise to develop a specialized and the most effective marketing campaign for you to achieve the best result. Harcourts is on the leading verge of the latest technology in this ever evolving industry both nation-wide and internationally, ensuring that you never miss an opportunity in this highly competitive market, whether you are selling or buying. People always come first, simply because ‘people mean business.’” If you are thinking of buying or selling then give me a call today and together we can talk through what you want to achieve and then make it happen - Crystal. Daisy and her team specialise in serving clients who are looking to buy or sell property on the North Shore and surrounding suburbs. She has a comprehensive understanding of the market and is skilful in strategic pricing and marketing. She helps people every step of the way when purchasing or selling homes, providing a professional and trustworthy full service. For FIRST CLASS Service – work with me! Daisy’s Team Tony Scheirlinck’s name is synonymous with success in real estate on the North Shore since starting his career before the share market crash in 1987. He has produced outstanding results and is a multi-award winning salesperson that possesses a passion and enthusiasm for real estate. Tony is proud to be part of Daisy’s team. Fiona started her Real Estate career in 2001 as an office administrator. She has experience in administration, finance, marketing, and management support. She is proud to support Daisy in an administration role. Marshall Zhang is an integral member of Daisy’s team. As Daisy’s chief auctioneer Marshall has the ability to speak both English and Mandarin. He provides a genuine point of difference to the client whether buying or selling. Dimple is ambitious and a goal driven agent working in Sunnynook Harcourts. Her aim is to bring a fresh and straight forward approach for building a relationship with her clients. Selling or buying a house is not an everyday task, Dimple is very good in listening to people and giving best possible service to her clients. She has the ability to communicate and empathise with people needs understanding their requirements. Dimple speaks two languages - English and Hindi. So if you are looking for an agent feel free to call her. Hans Ding is originally from the north of China and moved to New Zealand in 2008. Hans is married with a son named Darren. Hans was a mechanical engineer and marketing manager when in China. Hans graduated IT in Level 7 and loves meeting and dealing with people of all cultures. Over the past three years he has been a vehicle trader importing cars from Japan to order. Whilst doing the trading he created a smart phone app to communicate with car buyers. Hans is a very honest and hard working agent with over 10 years of marketing experience. Irene is a tenacious negotiator and tireless worker who inspires client’s confidence because she knows what she’s doing. Irene has a rare talent for seeing things clearly and brings this objectivity into the business of buying and selling. “Helping people feel comfortable with the process is all about giving timely advice and a clear pathway to the sale” says Irene. Reputation, goodwill and integrity count for a lot, not just now but for years into the future. That’s why you can count on me to give your sale my very best. I ask myself; if I was you, would I be happy with how well Irene has worked on my behalf? Thinking that way keeps me very, very focused on excellence. 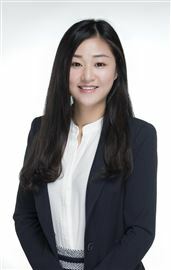 Iris Cheng is a Sales Assistant for David Ding Since joining the real estate industry in 2012, Iris Cheng has proven to be a well rounded salesperson with good business acumen and an absolute commitment to her clients. She handles the entire sales process with skill and professionalism, taking care of all of the finer details and guiding clients with accurate, insightful information about the market. Iris has a background in Bachelor of Business from the University of Auckland – Major Marketing and Economics. Her focus has always been on customer service excellence, which ensures loyalty and long term relations with her key account portfolio. 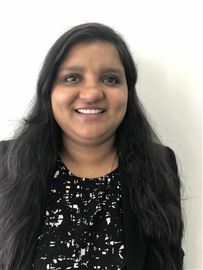 She takes great pride in her ability to speak fluent English and Mandarin and therefore to communicate with and serve both Kiwi and Asian communities in her area. If you are thinking of buying or selling and would like a salesperson who is passionate, knowledgeable and skilled, talk to Iris today. She can't wait to achieve a great outcome for you, whatever your property challenge. Jass Sidhu is a highly regarded real estate salesperson, proud of his profession. Dealing with Jass means dealing with someone who has integrity, energy and a professional approach to every aspect of your real estate transaction. His client is always his highest priority and he will make the whole process of buying and selling your property as enjoyable and stress free as possible and will keep you fully informed and updated at all times. Chat to Jass today about your real estate goals, he is focussed on achieving the best outcome for you. With a background in Sales and Marketing, Maggie has lived and worked in the Bays since she immigrated to New Zealand some years ago. She enjoys the lifestyle that the Shore provides and finds her profession as a Real Estate Agent personally rewarding. Maggie is passionate about her work. She is committed to finding the right homes for her buyers and loves surprising her vendors with outstanding results. 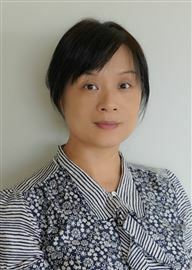 With a rising Chinese interest in New Zealand property, Maggie has the advantage of being able to converse with most vendors and prospective purchasers as she is fluent in both English and Chinese. 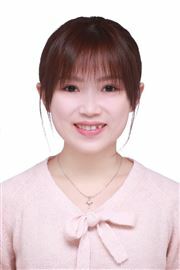 A ‘people person’, her pleasant and professional attitude, is combined with a strong business mind. Having lived in Auckland for 17 years, Michelle is a NZ resident who loves the kiwi way of life with the North Shore being her favourite place in the world to live and work. 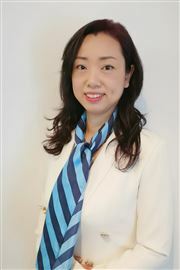 Speaking both English and Mandarin, Michelle is perfectly placed to assist you with any queries regarding Real Estate. Dedicated, Enthusiastic, Professional, are just a few characteristics that define Michelle and her work ethic when representing you. Michelle has a high expectation of delivering quality service to her clients and with her willingness to excel and her comprehensive professional knowledge you will instantly want to work alongside her when dealing with your real estate needs. With years of experience spanning across several industries, Peter has a diverse background of knowledge, including in the Building & Development Industry that gives him the edge in selling your home! Peter’s clients regard him as highly professional, courteous and clearly experienced. Building relationships that stand the test of time is his speciality, with many clients returning years later for more helpful service. Peter specialises in the Unsworth Heights, Glenfield, Totaravale, Albany, and Northcote areas with 17 years experience in Real Estate on the North Shore of Auckland. Peter’s enduring passion for the industry makes for a dedicated, trustworthy and proficient agent who will work along side YOU to achieve the best results possible. 'Why should I choose Reno?’ you ask. Reno thrives on assisting his clients to achieve what's important to them and their family. He offers more than the average real estate salesperson. 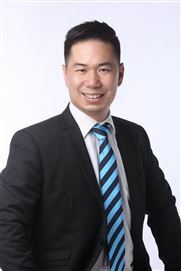 Highly motivated and multi-lingual, he is widely sought after in the Asian community in Auckland, being able to explain the intricacies of the New Zealand property market. Reno's positive attitude and the reliability of his honest and "straight up" approach will enable you to achieve what is important to you - ”The best possible result.” Buying or selling a property can be stressful for people, so Reno believes that communication is imperative to any successful real estate transaction. He makes it a priority to keep you up to date and fully informed throughout the sale and purchase process. With hard work and dedication Reno has built a business that many say is superb. If you are looking for a salesperson to go that extra mile for you, call Reno now. With expertise in residential and rural real estate, Victor has a wealth of knowledge and experience to share with you. Victors’ driven, dedicated and hard-working nature ensures a quality service is provided to all his clients. Being a consistent top performer since joining real estate, Victor is enthusiastic and dedicated to delivering exceptional results. Being popular in North Shore residential and rural, Victor combines an in-depth knowledge and friendly manner to achieve exceptional results. Victor has successfully sold many multi-million dollar properties in his career. Prior to real estate Victor enjoyed many careers including IT, website design, finance and running a business for many years. His background has enabled him to develop effective skills including understanding user requirement, marketing skills and to know how to help customers maximise their return on investment. Victor speaks fluent English and Chinese should you require specialist language skills. Victor would be pleased to help with your property needs. Please contact him to see how he can help with your next property move. Here to listen to your needs and establish your home buying/selling goals and objectives, Winnie believes that in this fast paced market communication is still key. She is honest with her buyers and sellers and treats them as she would expect to be treated. She is passionate about the huge responsibility it is in finding and selling homes for her clients. You can be certain that Winnie will work hard to meet and exceed your expectations while keeping your best interests at heart whether you're buying or selling. So when you decide you are ready for a real estate move - given the service you'll receive, the resources and large Harcourts referral network - why wouldn't you contact Winnie and find out how she can positively enhance your next real estate experience. Fiona started her Real Estate career in 2001 as an office administrator. She has experience in administration, finance, marketing, and management support. She now assists the Sunnynook sales team with their day to day administration needs. Fiona is the “go to” person when you need anything done. She is a mum to 1 little boy and has a keen interest in the performing arts having spent several years on the stage in her spare time. Fiona is friendly, enthusiastic and bubbly and excited to be supporting the Sunnynook Team. Karen has passion for property and decided to join the real estate industry. She is dedicated to providing exceptional service to the vendors and buyers. First Time in the Market! Home + " Potential "
Be Quick! Brick in Cul-de-sac! Selling way below the CV! Deadline awaits, must be sold! Will be sold BELOW Valuation. Now Sold - Another Wanted! ¼ Acre Dream In Westlake Zone!